In L.A. Fiore’s newest work we meet young Alexis. She is just beginning her life at age five and she is already wiser than anyone her age. After being given up by her biological parents, she comes to live with her foster monsters. They ignore her very existence. Thanks to the two twins across the street, Alexis know love, and what a family looks like. Its all she has ever wanted. Through this novel we watch Alexis grow up and deal with bullying and self acceptance. Her world was never complete until she met Greyson. Greyson was the new kid in school. Every girl wanted him, but he wanted her. There was never a better love story as theirs. It was so strong, that it got them past 6 years of no contact. Finally finding each other, they realize that there hearts belong together. Our Unscripted Story follows as the two cement their careers, and take on family life. Alexis and Greyson have to decide if they can stick together through thick or thin, life or death. I don’t think I can review this book and express how amazing this is. The only thing I can say is that the book was a tad bit long, but that’s the only negative. There was a specific scene in the book where I thought things were going to head south, but L.A. Fiore did the unexpected. This book was just a ball of positivity. I was happy the entire time reading. I read it in a span of one day and it was just amazing. 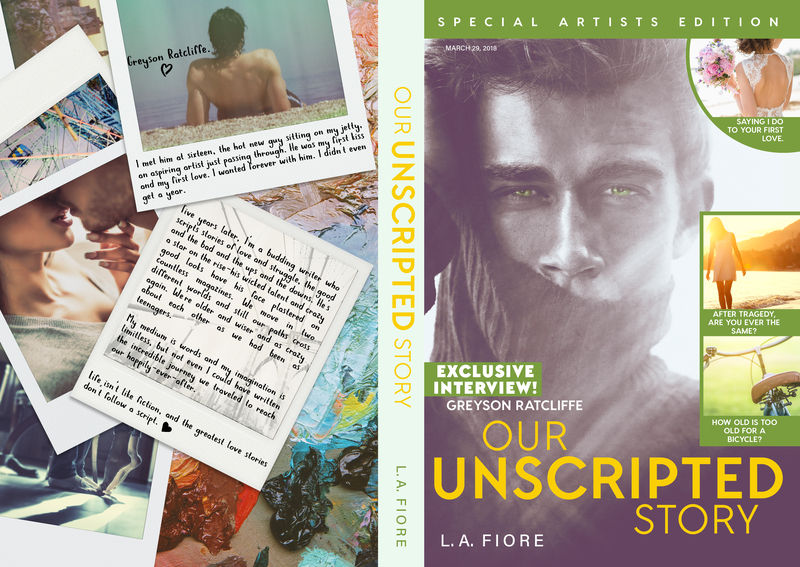 I have never read an L.A. Fiore book before and now I want to read them all. It has been a long time since I loved both the female and male leads. I absolutely love that we got to watch Alexis go through her entire life. I wish I could get a novela for even more of her life. The best part that is that it was written in duo points of view. I honestly wouldn’t have wanted to get involved with my father after finding the information Alexis did but she was a strong girl. I gave this book 5/5 stars. Highly, Highly recommend.